Two former high-ranking executives of technology major Cognizant have been charged by US prosecutors with allegedly paying Tamil Nadu government officials $2 million in bribes to get building permits for the company’s Chennai campus. US-based Cognizant has agreed to pay $25 million to settle charges towards violation of the Foreign Corrupt Practices Act (FCPA), the Securities and Exchange Commission (SEC) said. The criminal charges filed on Friday against Cognizant's former President Gordon Coburn, 55, and former Chief Legal Officer Steven Schwartz, 51, in a federal court in Newark, New Jersey, relates to the construction of the 250,000-sq-metre KITS campus in Chennai's Sholinganallurits for the company's Indian subsidiary. The two executives left the company between September and November 2016 and have denied any wrongdoing. Details about illegal payments emerged from the US indictment order which charged Coburn and Schwartz of approving illicit payments to Indian officials. The prosecutors did not identify the Tamil Nadu officials or the construction company through which the alleged bribes were routed. However, a Livemint report said that the Nasdaq-listed company routed the bribes through Larsen & Toubro (L&T) in the three years to 2015. "The construction arm of India’s largest engineering company made illicit payments and Cognizant reimbursed the money by disguising it as compensation for cost overruns," Livemint reported. What is the bribery case all about? 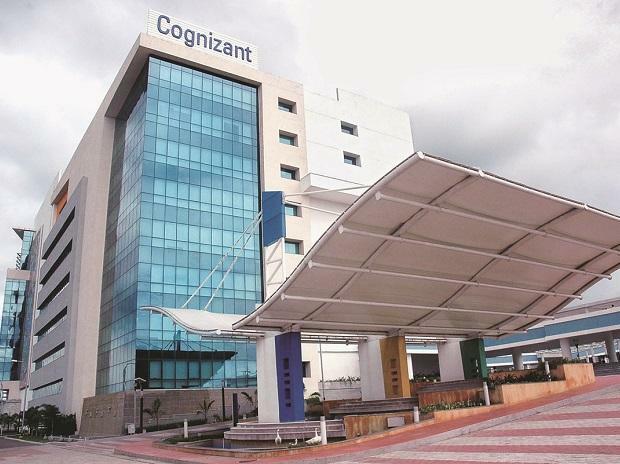 The complaint alleges that a senior Tamil Nadu official demanded $2 million bribe in 2014 from the construction firm responsible for building Cognizant's 2.7-million-square-foot campus in Chennai. As alleged in the complaint, Cognizant's President Gordon Coburn and Chief Legal Officer Steven E Schwartz authorised the contractor to pay the bribe and directed their subordinates to conceal the bribe by doctoring the contractor's orders. According to the indictment, in April 2014, Coburn and Schwartz allegedly authorised an unlawful payment of approximately $2 million to one or more foreign government officials in India to secure and obtain necessary permits to open a new office campus. To conceal Cognizant's involvement in the scheme, Coburn, Schwartz and others allegedly agreed that a third-party construction company would obtain the permit by making the illegal bribe payment and that Cognizant would reimburse the construction company through phony construction invoices at the end of the project. The Mint report says in "2013, Cognizant India instructed L&T to pay $770,000 in bribes to a Maharashtra government official for seeking environmental clearance for a campus in Pune. Finally, L&T again paid $870,000 in bribes to government officials for construction-related permits in Siruseri, Chennai in 2015, again on behalf of Cognizant." According to the indictment, as Coburn, Schwartz and others had previously agreed, they hid the bribe reimbursement payment within a series of line items in a construction change order request to be paid to the construction company, thereby concealing the true nature and purpose of the reimbursement, falsifying Cognizant's books and records, and circumventing and failing to implement its internal controls. In a statement, Cognizant said it has resolved the previously disclosed investigations by the Department of Justice and SEC into whether payments relating to permits and licenses for certain real estate facilities in India violated the U.S. FCPA. Coburn and Schwarts face 12 charges, including conspiracy, violation of the FCPA and falsifying records. s. The SEC is seeking permanent injunctions, monetary penalties, and officer-and-director bars against Coburn and Schwartz. The Company, it said, settled with the SEC by consenting to the entry of an administrative order. In total, the resolutions require it to pay approximately $28 million to the DOJ and SEC. "This amount is consistent with the accrual previously recorded by the company," the statement added. Does the issue qualify for a probe in India? A lawyer quoted by the Times of India suggests that irrespective of resolution in US courts, the issue qualifies for an India probe as it falls under the purview of the Prevention of Corruption Act. He said the order made it evident that state officials were indeed involved. The report also quoted former Tamil Nadu DGP SK Dogra as saying that even without a complaint, the US court's ruling is sufficient for the Directorate of Vigilance and Anti-Corruption (DVAC) to initiate a preliminary inquiry against state government officials.